$100 million collected from the 2% tax allocated to cover the emergency requirements for mitigating the impact of #CycloneIdai natural disaster, rehabilitation of hundreds of lives and restoration of infrastructure. They say you can only know the true state of a car when you lift its bonnet and look inside. And so it was back in September, when I was appointed Minister of Finance, and got to take a look at the true state of our nation's finances. The budget deficit was huge, and growing at a rate of hundreds of millions of US Dollars per month, causing spiralling domestic debt and inflation with negative spillovers to the rest of the economy. If we were to have any chance to resurrect the Zimbabwean economy and build a better life for the people of this country, we would have to take tough decisions, and fast. What was required was to cut unnecessary spending, while at the same time seeking new revenue sources. We knew that the actions we needed to take would not necessarily make us popular, but they were necessary nonetheless. I was comforted in this realisation by the wise words of Albert Einstein, who famously wrote that "What is right is not always popular and what is popular is not always right." One of the key elements of our strategy to get our finances back on track was the Intermediated Money Transfer Tax (IMTT), popularly referred to as the 2 percent Tax, which we introduced six months ago in October 2018, to replace the previous flat tax of 5 cents per transaction. The purpose of this tax was twofold. First, it was intended that the 2 percent tax would raise significant revenue to be used to balance the budget and finance various priority development programmes. The tax's performance in this regard has exceeded all expectations, and to date, we have collected $449 million. This money has helped to cut the monthly budget, for example from a US$242 million deficit in November to a surplus of US$733 million in December, and has also gone towards key projects such as dualisation of Norton strip of the Harare-Bulawayo Highway. The second goal for this tax was to give government the ability to fund inescapable and unforeseen expenditures, without recourse to debt creating instruments such as Treasury Bills, through the establishment of a dedicated and ring-fenced fund. We are well aware that we live in a region in which natural disasters are becoming sadly ever more common, and that therefore, government must have the ability to respond to such events without creating further debt. The ongoing Cyclone Idai disaster is one such event. The images of the dead, injured and displaced were heartbreaking, and the nation has been united in grief for the lives ruined by this devastating and unexpected disaster. 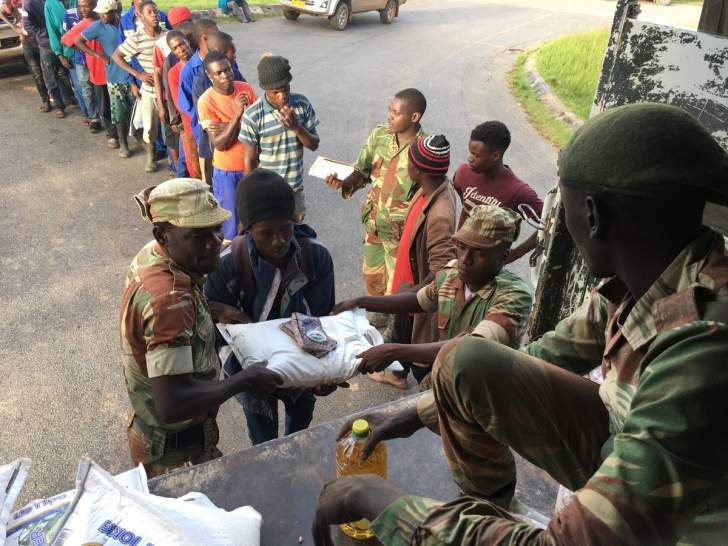 From a governmental perspective, Cyclone Idai necessitated an urgent and immediate need for resource mobilisation to mitigate against its effects and support those affected. In the past, this would have meant further Government borrowing, leading to extra debt and long term economic ramifications. But fortunately, funds from the 2 percent tax that were put aside for exactly this eventuality, and became available exactly when they were most needed. We had initially earmarked $50 million to cover the emergency requirements for mitigating the impact of such a disaster, yet due to the increased performance of the fund, we were able to increase this allocation to a much needed $100million. These funds are being used to help those who most in need of our help. This article is not intended to be self-congratulatory. Far from it. There is so much more to do to mitigate the impact of Cyclone Idai, and this sum we have put aside amounts to around one tenth of the estimated one billion dollars we require to cater for non-infrastructure supplies as well as quick infrastructure rehabilitation of roads and bridges, power, communication, irrigation, housing and water. The scale of the need will require the coordination and support of public, private and development partners, and while we greatly appreciate all the support we have already received, much more is needed. But what Cyclone Idai has done is to reaffirm the need for long term economic planning and sobriety, even if it is unpopular. Nobody likes to be asked to pay more taxes, certainly not those who are already struggling to make ends meet. We are aware of this, and are doing all we can to spread the burden evenly, and minimise what we ask for from those who have the least. But in just six months, the 2 percent tax has helped us to cut the deficit, invest in vital infrastructure, and put aside a sizeable sum that is being used to mitigate the effects of Cyclone Idai. Simply put, the 2 percent tax enables us to help those desperately in need of our assistance. Whatever your politics, whether popular or not, it is the right thing to do.